you can now use the WIFI remote to control the strip light, dial up a colour or change modes. 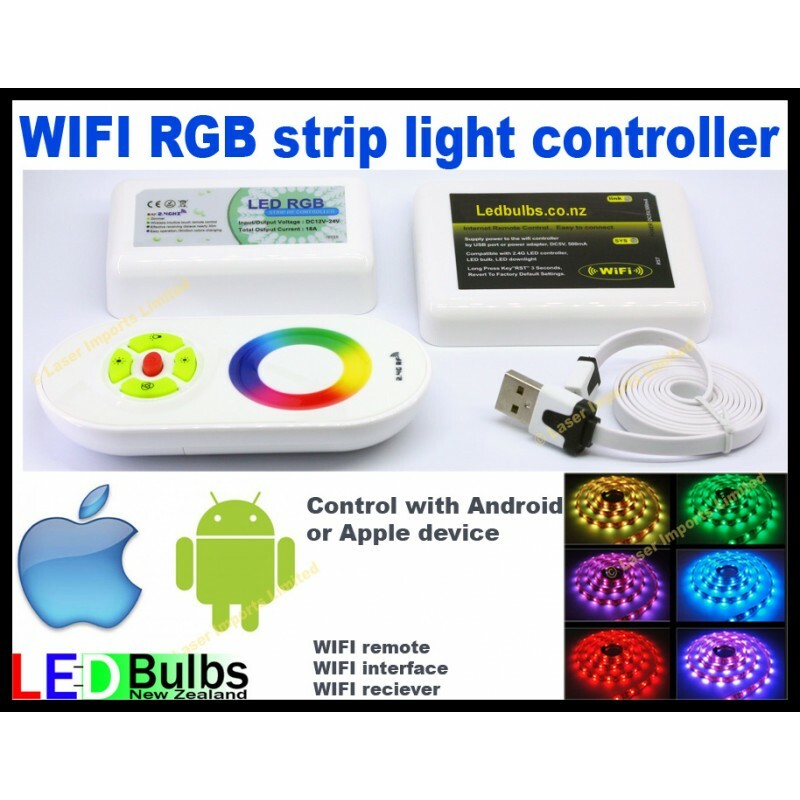 Plugin the WIFI interface to any USB port for power, pair it with the WIFI remote. Connect to the interface using your wifi and start the app. Now you can change the colour, brightness and modes on your device. You can also configure the interface to talk to your home router, so you can stay connected to your standard WIFI and still use this. We will be getting in more lights that you can control with this such as Down lights and light bulbs for standard fittings. It has the ability to store different rooms and items connected to it. See our listings for the led changing colour strip lights, this will work with the 5050 RGB strip lights waterproof and non waterproof. It will not work with our chasing led strip lights.